Early Cretaceous stick insect (Cretophasmomima melanogramma) adapted to live alongside early Cretaceous plants by protective mimicry. This fossil was found in Inner Mongolia, China, in the Yixian Formation, known as the Jehol biota, dated between 122-130 million years ago. 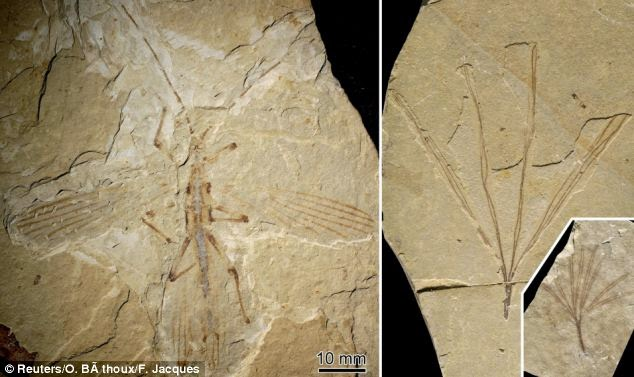 It is the earliest known example of stick insect mimicry. This insect mimics the leaves of Membranifolia admirabilis, related to Ginkgo biloba which was common then, but is extinct today. The dark straight veins in the wings in this fossil, when the wings are folded over the back, closely resembled M. admirabilis. 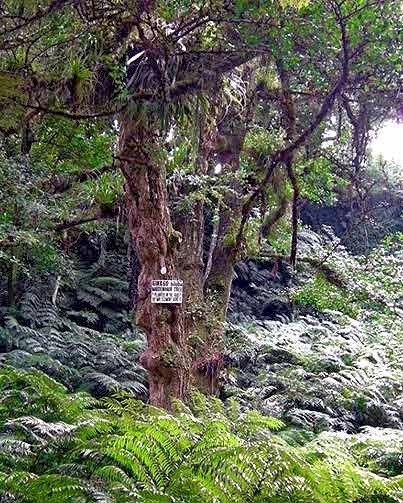 The insect evolved to look like these leaves, including their shade of green, and concealed itself from predators by blending in the foliage. 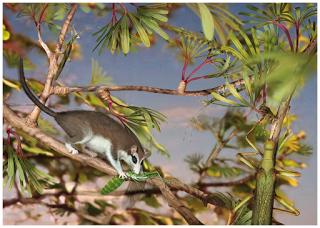 Images and free article from PLOS ONE: Under cover at pre-angiosperm times: a cloaked Phasmatodean insect from the early Cretaceous Jehol biota. Wang M, Béthoux O, Bradler S, Jacques FMB, Cui Y, et al. (March 19, 2014). PLOS ONE 9(3): e91290. doi:10.1371/journal.pone.0091290. * New topic: New Ginkgo cultivars and names list. 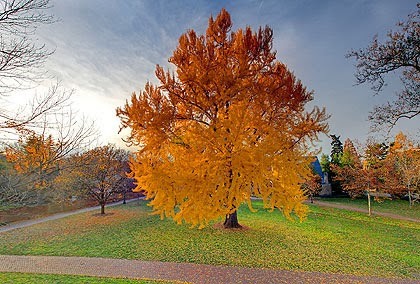 * New Photo of the Month on photospecial page: Huge ginkgo in Winston-Salem, NC.